Often some one precious detail of war lurks in the middle of a book of the most unlikely description. After turning over tens of thousands of leaves in Latin, French, Italian, German, English, Spanish and Dutch print, one is left with an accumulation of observed phenomena - religious, cultural, literary, psychological - which the mind is forced to coordinate into some sort of general conclusions. 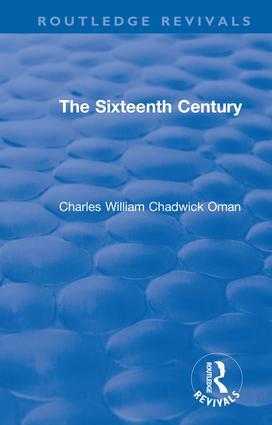 As the author has stated in some of the pages which follow this preface, the author is profoundly averse to formulating 'philosophies of history', and though the author feels impelled to put in order the impression which much reading and pondering have left with me, the author does not pretend to link these impressions into any theory of evolution. There are as many 'ifs' in history as 'therefores'.